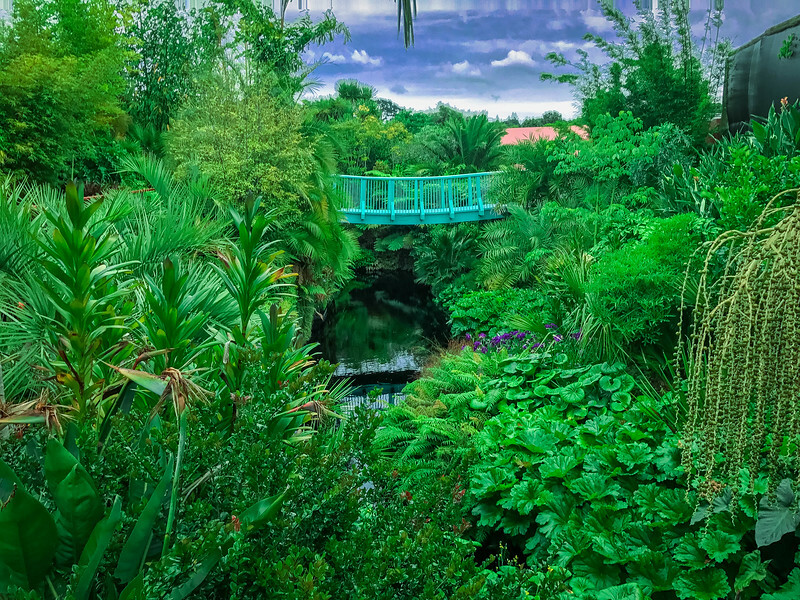 Hamilton Gardens New Zealand - How to Enjoy the Beauty of Nature? Home New Zealand Hamilton Gardens New Zealand – How to Enjoy the Beauty of Nature? Auckland and Wellington may be the two iconic cities on the North Island of New Zealand but having spent three nights in Hamilton, we would argue that this is equally as impressive and provides a great location to explore other parts of the island. 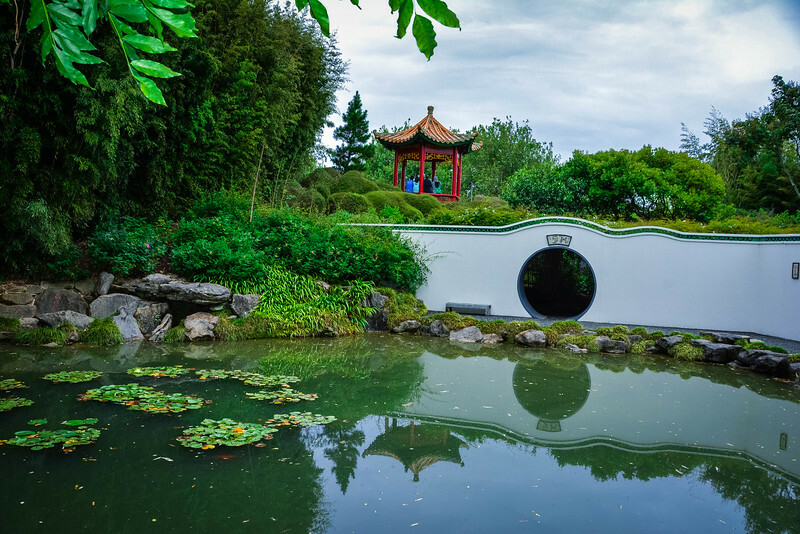 Hamilton Gardens New Zealand is one of the highlight attractions in this town providing a perfect place to visit and appreciate the beauty of nature. 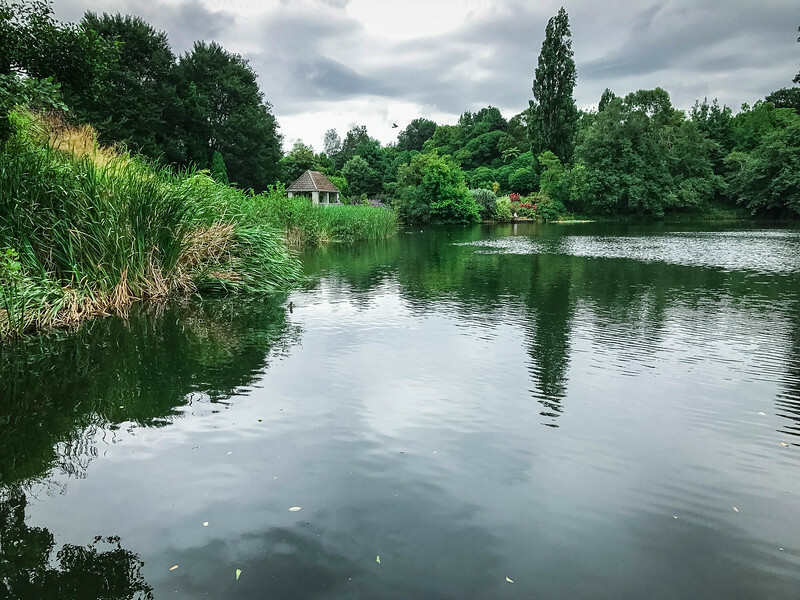 Whether you are an avid botanist or simply someone that enjoys the relaxing solitude of a botanical garden, Hamilton’s version is definitely worth exploring. 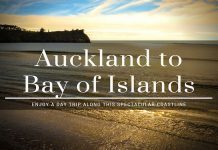 We never intended on spending so many nights in Hamilton but after taking a day trip to Rotorua, a visit to Hobbiton and then enjoying the relaxing feel of this town, we saw no reason to leave as it was a perfect base for us. 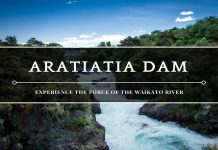 We highly recommend spending a day in and around Hamilton to enjoy the downtown neighborhood parallel to the Waikato River that flows through the town and of course, to enjoy attractions such as Hamilton Gardens. 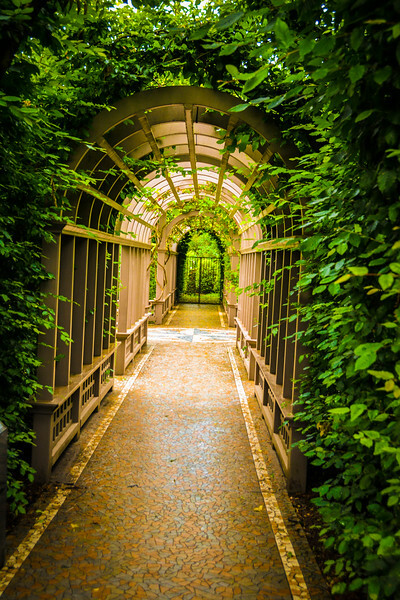 Hamilton Gardens is one of those attractions that you can’t help but fall in love with. As we share some of the highlight spots around this location, you will notice that these gardens are divided into world themes that provide a perfect experience to increase your knowledge about nature from all corners of the globe. The first and probably most important information about Hamilton Gardens is that admission to this public park is 100% FREE. Who doesn’t love free attractions right? Ok, so that should immediately capture your attention to keep reading and find out more. Not only is admission free but there is ample free parking so everything about your visit to Hamilton Gardens is a huge cost saving. The Garden Collections open at 7:30 AM daily and are open until 8:00 PM (Summer – September 28 to April 5) and 5:30 PM (Winter – April 6 to September 27). The Information Center, gift shop, display houses, and cafe have shorter opening times but the reality is, the majority of your time will be spent enjoying the beauty of these gardens. How to Explore Hamilton Gardens? We decided to visit the Information Center first to try and find a map of the gardens but we found out there is a small surcharge for one of these. We opted against this as we figured a spontaneous walk through the gardens would likely inspire us to explore more. 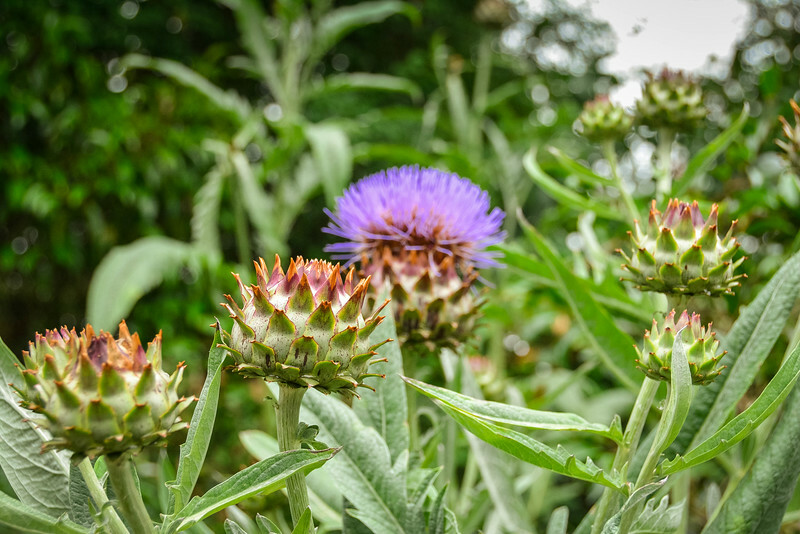 If you prefer to stay organized, the map will come in handy but there is nothing quite like taking a stroll around a botanical garden without quite knowing what you will stumble across next. 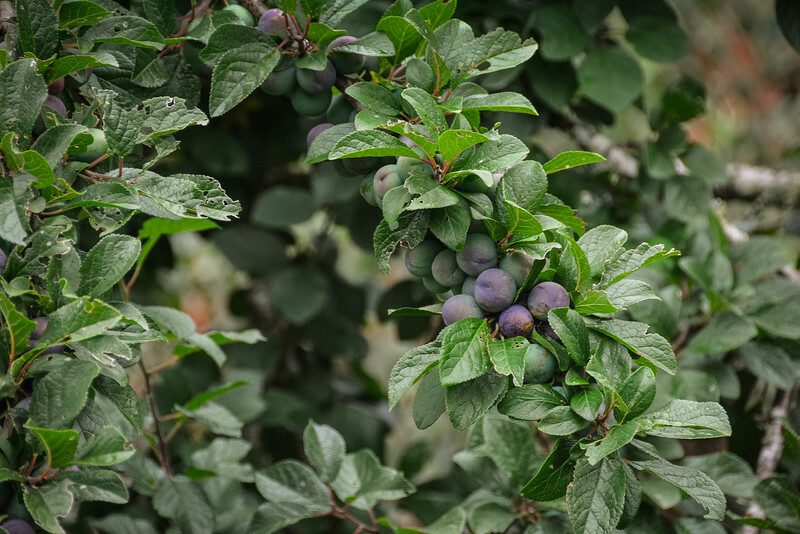 There are five distinctive categories that each of these gardens is grouped into: The Paradise Collection; The Productive Collection; The Fantasy Collection; The Cultivar Collection and The Landscape Collection. We didn’t visit every single garden but we did explore the majority of what we consider to be the highlight attractions here. 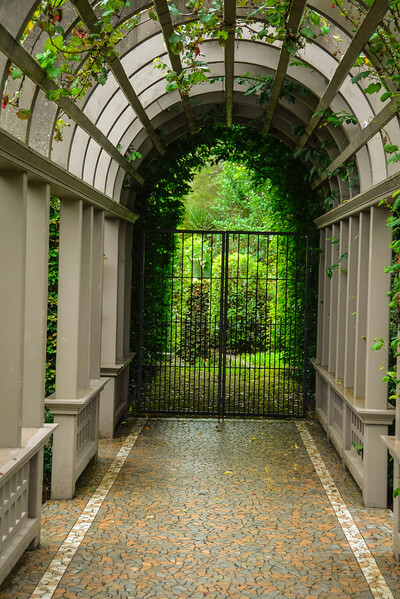 Let’s take a look at all of the amazing “themed” garden collections you can expect to see at Hamilton Gardens New Zealand. 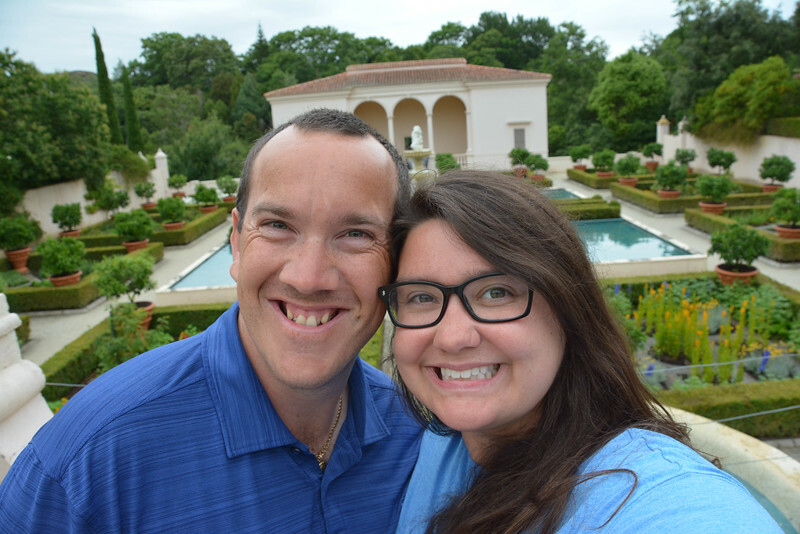 Our first stop was the breathtaking Italian Renaissance Garden. If you are familiar with the Italian Renaissance period, you will know that much of this style is derived from geometry and the desire for Italian architects to create works of art that follow geometric principles. This underlying concept is very apparent throughout the garden at Hamilton Gardens and the spectacular creation is certainly a credit to this era. 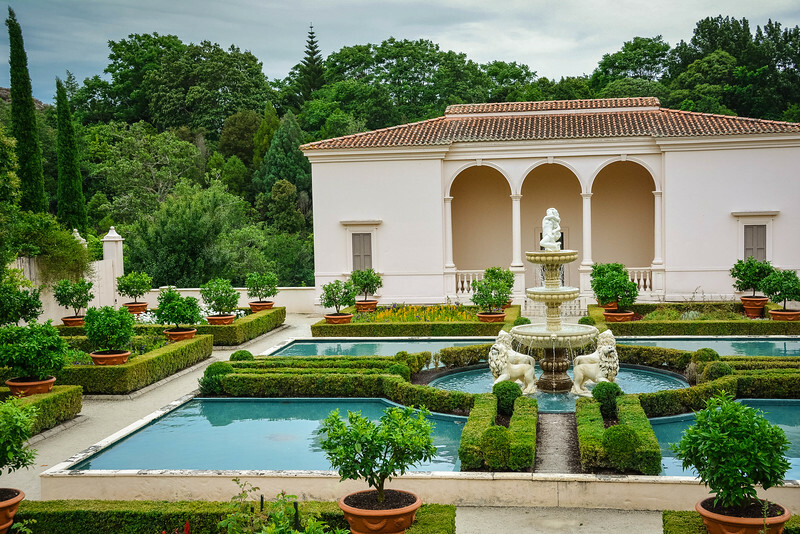 High surrounding walls, flat square beds lined with plants and an arched trellis are some of the key components in Italian Renaissance design, all of which are visible in this garden. The focal point is the historic white building at the end of the courtyard, emphasizing the importance of gorgeous grand buildings that are typical throughout Italy’s major cities. 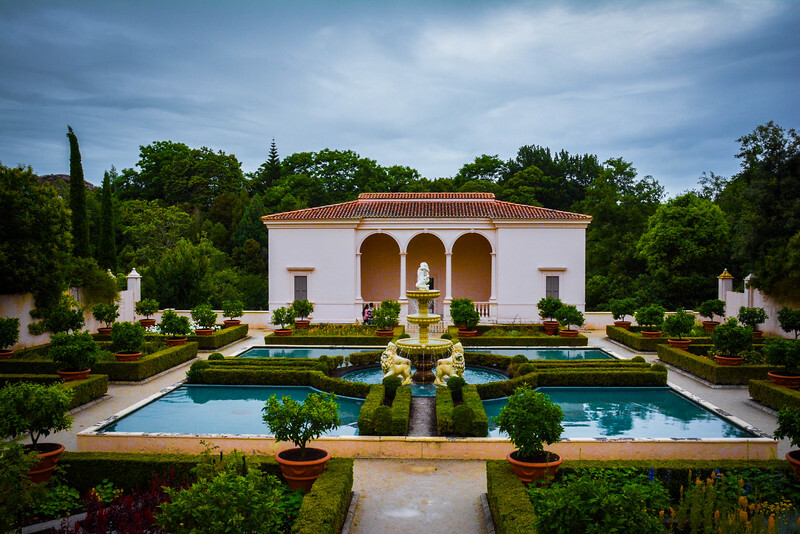 If this is your first stop on your tour of Hamilton Gardens, you will likely be impressed and ready to experience everything else here. 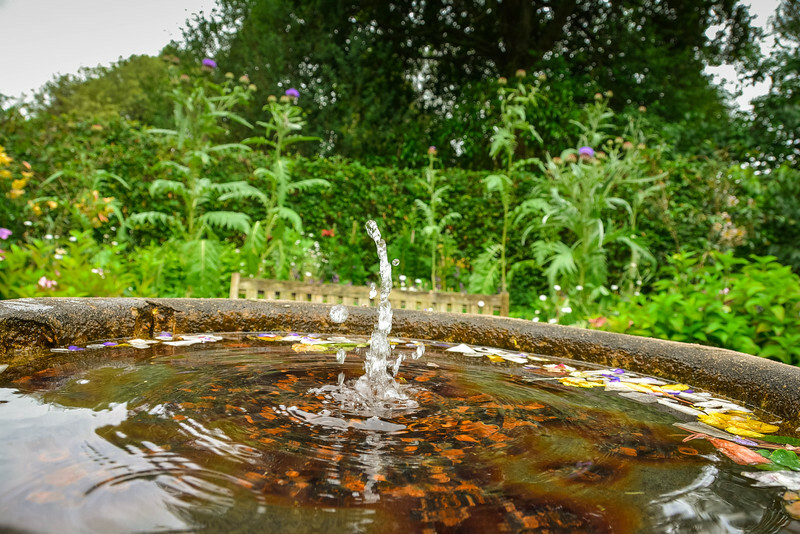 However, this was probably one of our favorite spots on the tour and definitely an area where we could sit down and relax in the confines of this garden while appreciating the beauty of the fountain and other features here. Heading through one of the narrow passages out of the Italian Renaissance Garden, we approached something very different and unique – the Indian Char Bagh Garden. 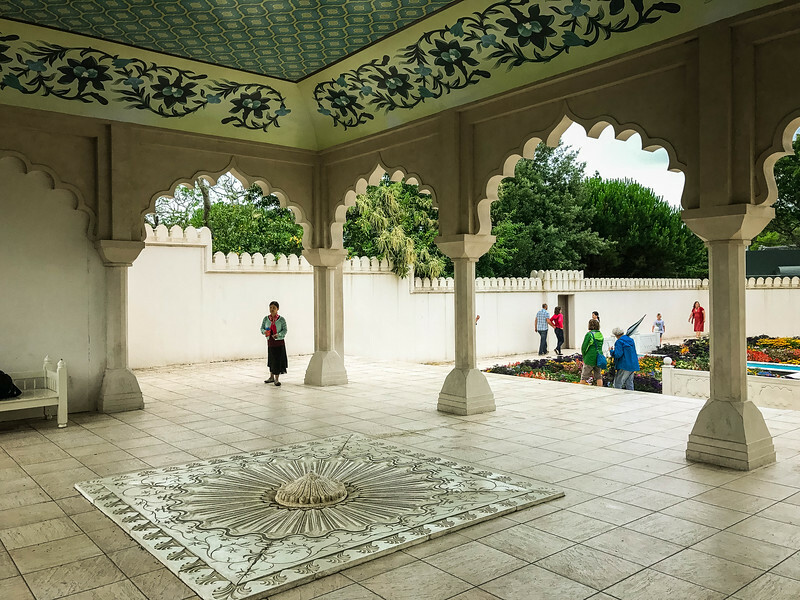 This is the ‘original’ Paradise Garden at Hamilton Gardens and the phrase ‘Char Bagh’ refers to ‘enclosed four part’ which is fairly apparent once you step inside this area. Divided by a water feature that channels throughout the garden, the four parts are distinguished by collections of colorful floral varieties. 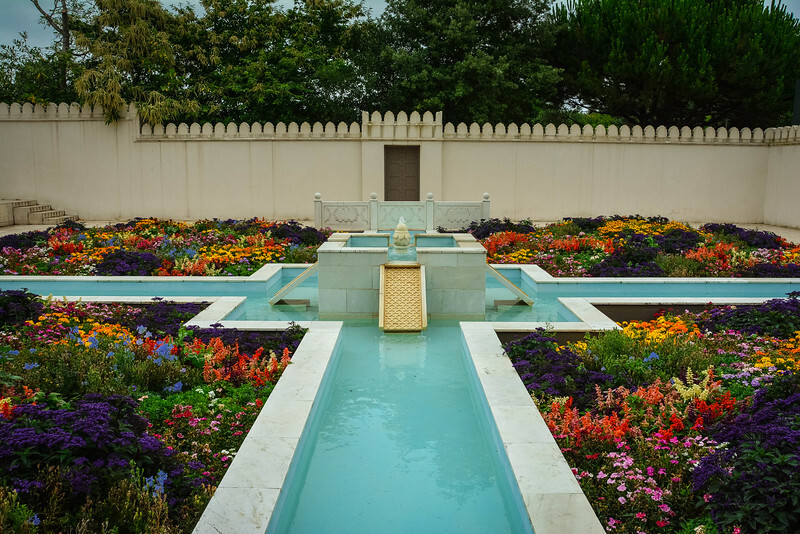 The overall appearance of the Indian Char Bagh Garden is inspired by a small palace in the city of Agra, India which is more commonly known as the location of the Taj Majal. 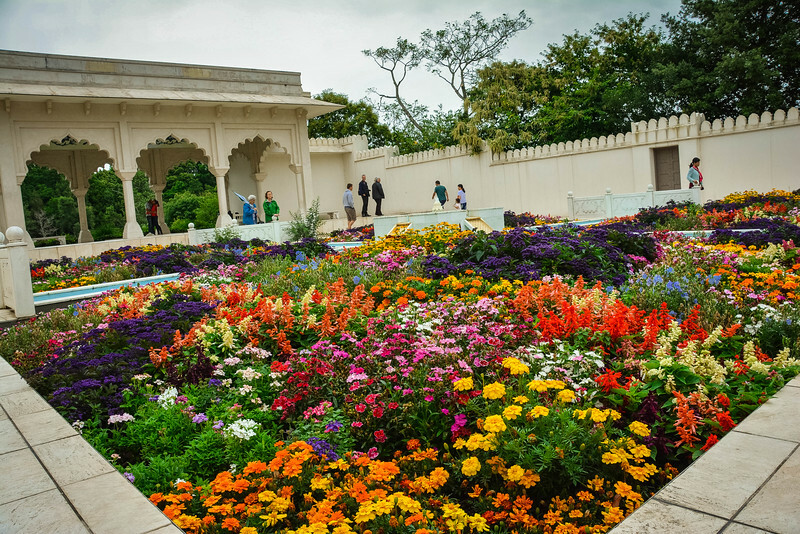 This palace, known as Lal Mahal, is depicted through the construction of Hamilton Gardens’ equivalent Char Bagh Garden and the intricate details are certainly reflected in the stereotypical Indian design. The Char Bagh Garden has a very palatial feel to it as you stand under the canopy of the building and admire the courtyard in front of you. 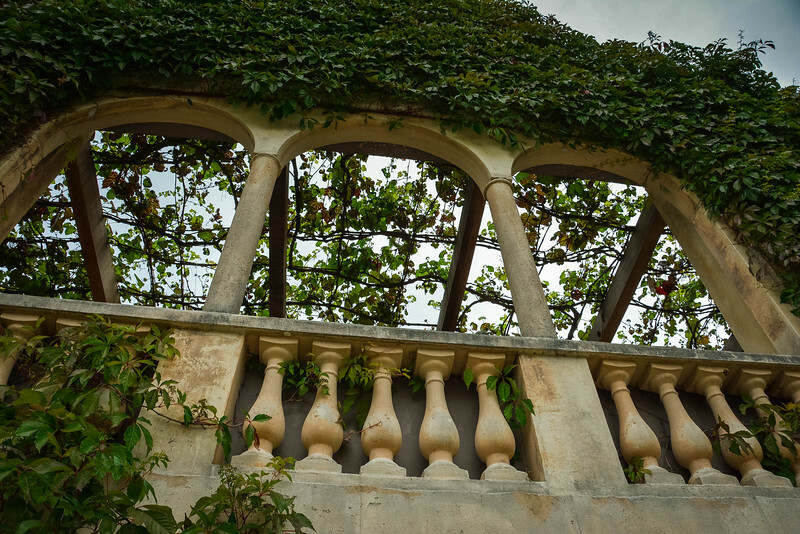 Even the walls that surround the garden have been intricately designed and everything here is immaculately maintained to ensure visitors can appreciate the inspiration behind this creation. Ready to experience the ultimate garden of peacefulness? 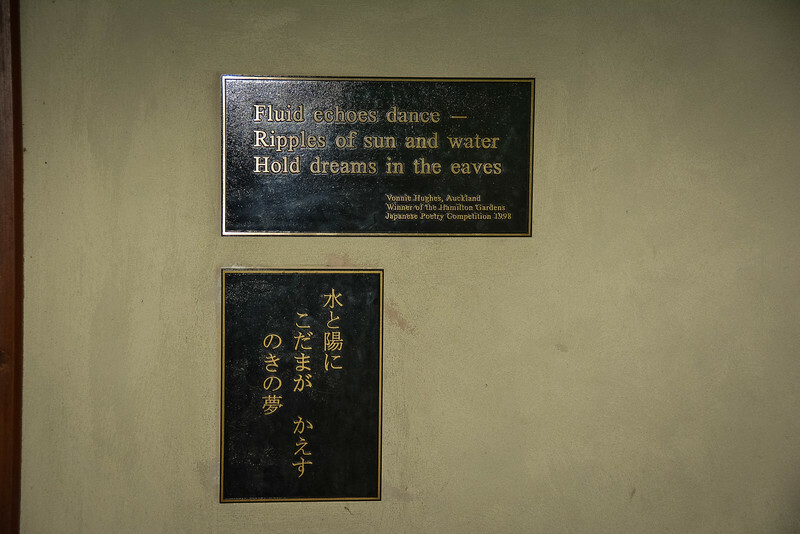 Visit the Japanese Garden of Contemplation to do exactly what the name suggests, contemplate your surroundings and appreciate the inherent beauty. 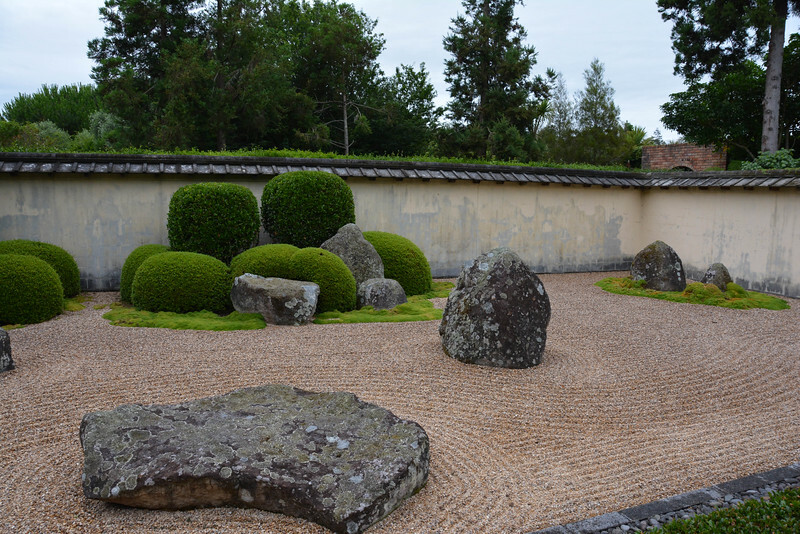 A stereotypical example of a Zen Garden, the Hamilton version epitomizes the Muromachi era of Japanese history through the careful compositions that make up this design. For those of you unaware of the key characteristics of a Zen Garden, simply consider the iconic sight of Japanese temples that I’m sure you are all familiar with. By creating a feeling of peace and serenity through the design features that represent all forms of nature including mountains and lakes, the Japanese Garden of Contemplation is one spot that you just feel like you have to be silent to fully honor this landmark. 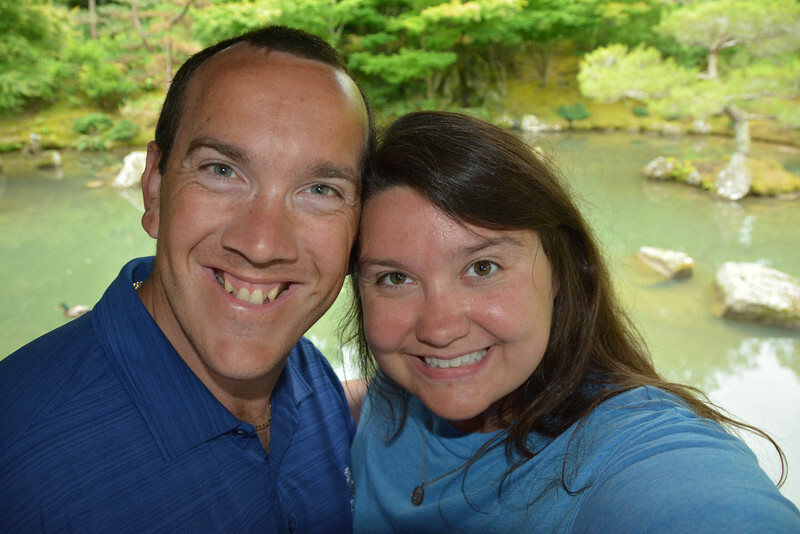 As we stood inside the “temple” and looked across the lake, the silence surrounding us truly evoked our senses and allowed us to drift into a moment of thought and realize just how beautiful nature can be. We all take nature for granted on a daily basis and it’s in times like this can you understand the reality of our surroundings and how much harm we cause through our day to day actions. 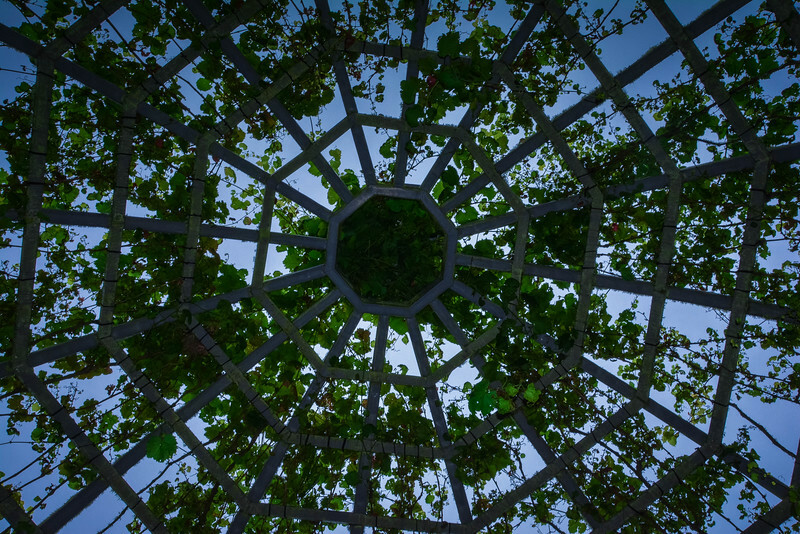 An appreciation of nature can only help us inspire others to do this and paying a visit to a location like Hamilton Gardens is a great way to open your mind. 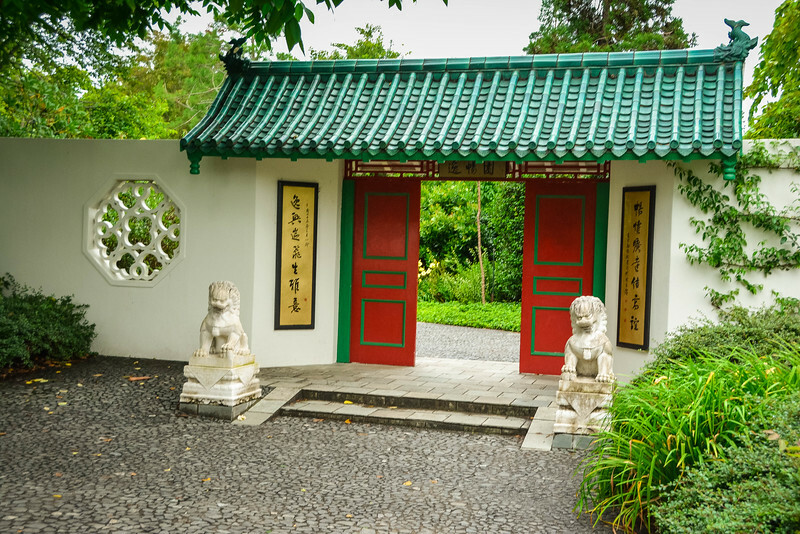 Let’s stay with the oriental influence and head over to the Chinese Scholar’s Garden. This is probably the most impressive and realistic of all the gardens in terms of visitors knowing immediately what they are looking at and where in the world it is affiliated with. Everything you associate with Chinese culture can be seen inside and around this garden. I love the architecture and design throughout this part of Hamilton Gardens. 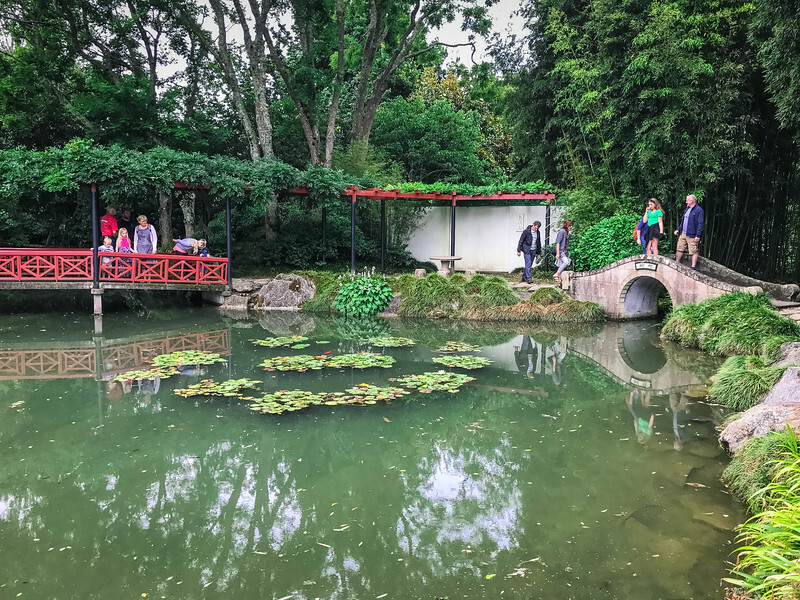 It’s one of the larger gardens and there are a number of components as you pass through an archway (the Ting Pavilion is above you) winding through a passageway until you arrive at the stereotypical scene of a Chinese temple and a quirky looking bridge passing over a lake. 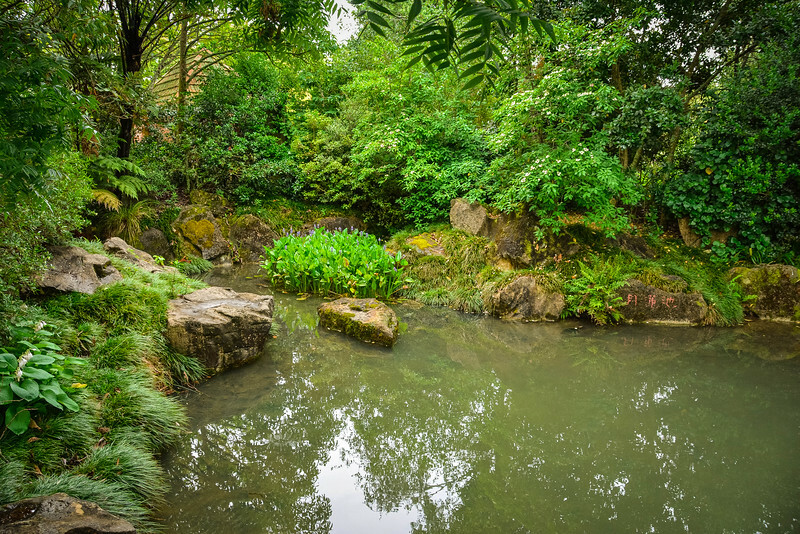 The overall appearance of the Chinese Scholar’s Garden is inspired by the traditional Sung Dynasty but you can’t help but notice some other dynasty’s appearing in the construction of this garden. 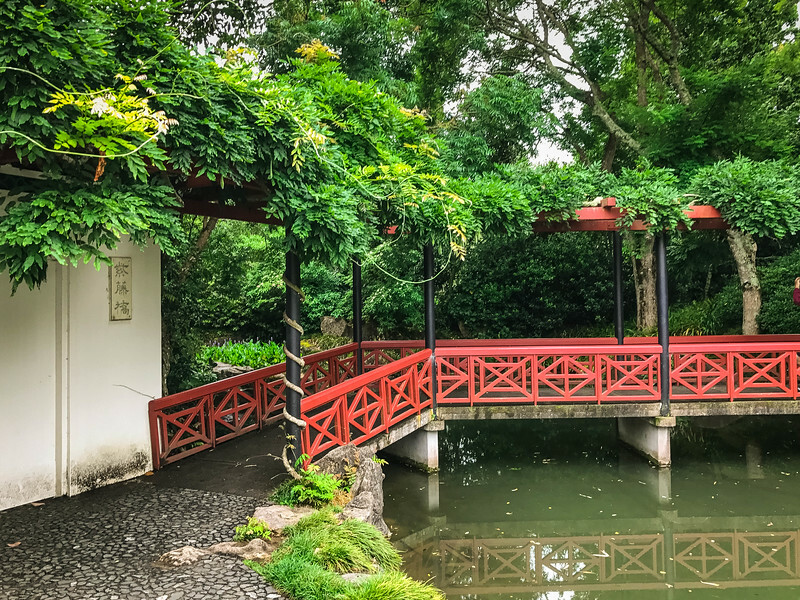 After crossing the Wisteria Bridge, we headed to the Ting Pavilion where you can feel like you are a Queen or King for a moment and admire the beautiful landscape in front of you. 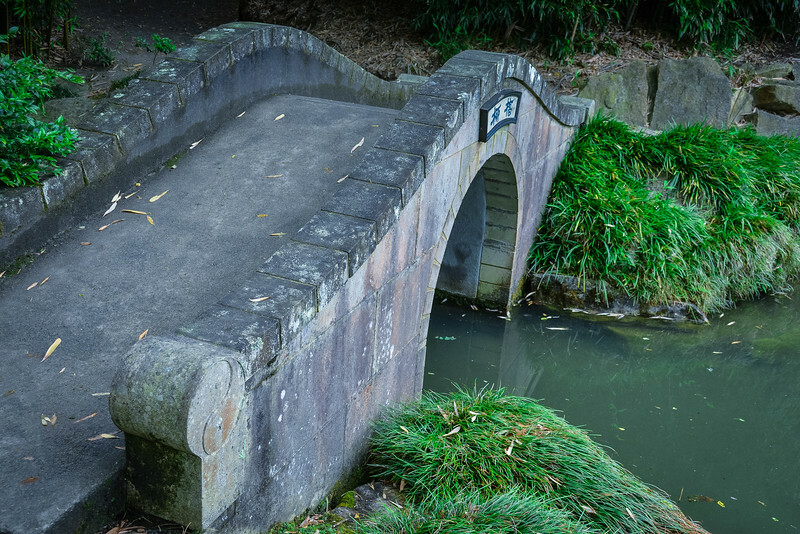 Behind you, the views of the Waikato River are stunning and this is unequivocally one of the most attractive spots throughout Hamilton Gardens. 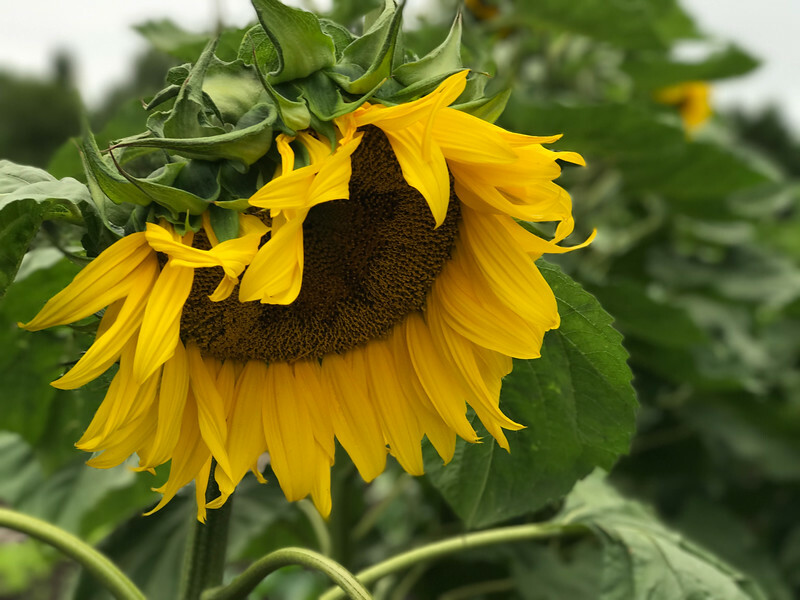 I have focused on four of Hamilton Gardens’ most iconic themed locations from around the world but there is so much more to see at this attraction. We spent three hours walking around and honestly felt like we were moving pretty quickly. You could easily spend a half day or even a full day here exploring the inherent beauty through all these gardens. 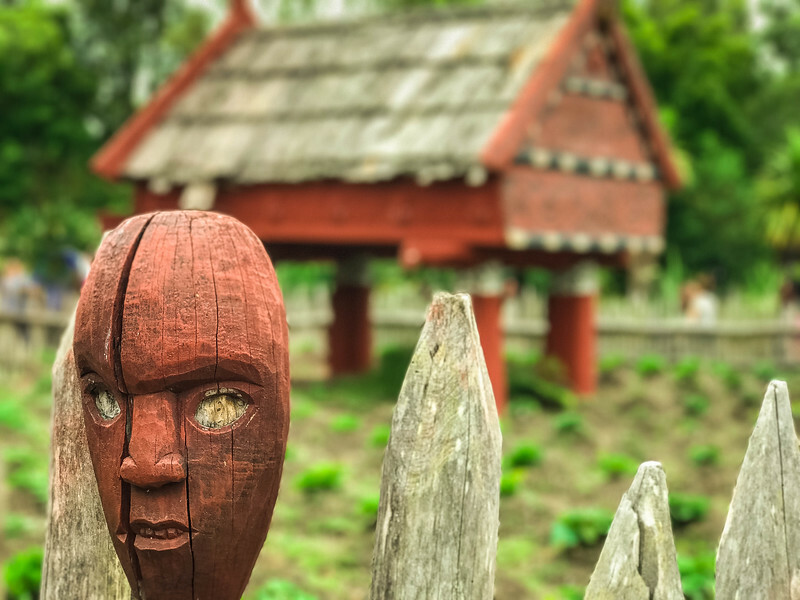 One of the most intriguing that is particularly relevant to the New Zealand locals is Te Parapara Garden, the nation’s only traditional Maori productive garden. 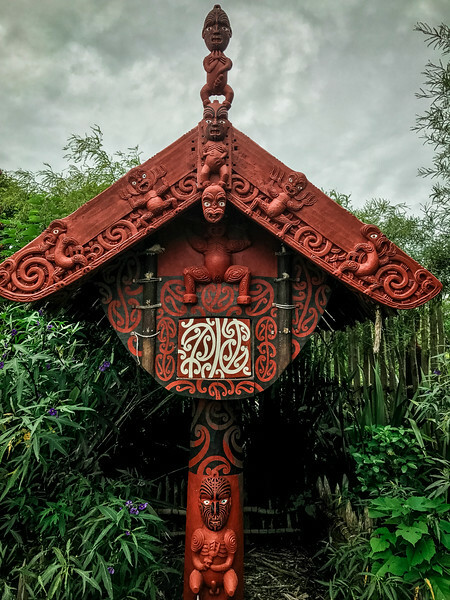 Showcasing a variety of traditional cultures, practices, materials and ceremonies, Te Parapara is an amazing attraction to learn all about Maori history. 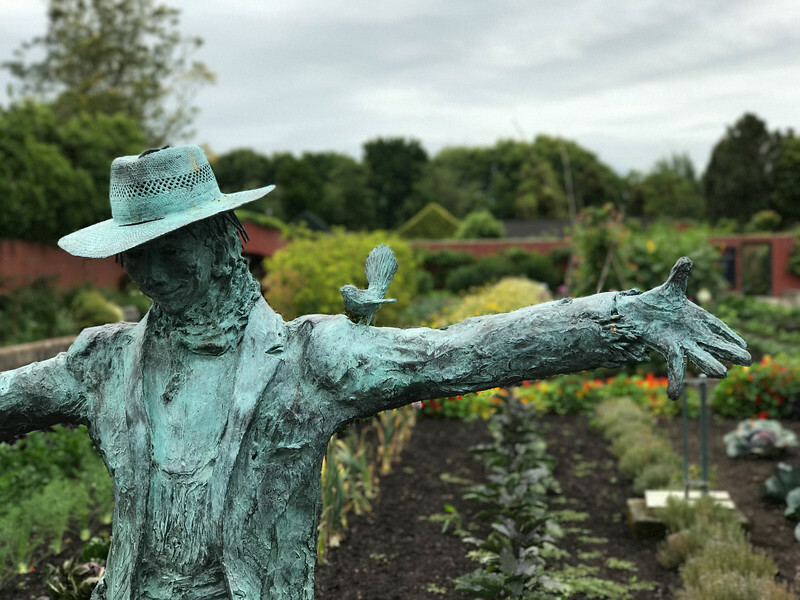 The herb and kitchen gardens offer distinctive smells and allow visitors the opportunity to spot their favorite spices and vegetables that they commonly use in everyday cooking. 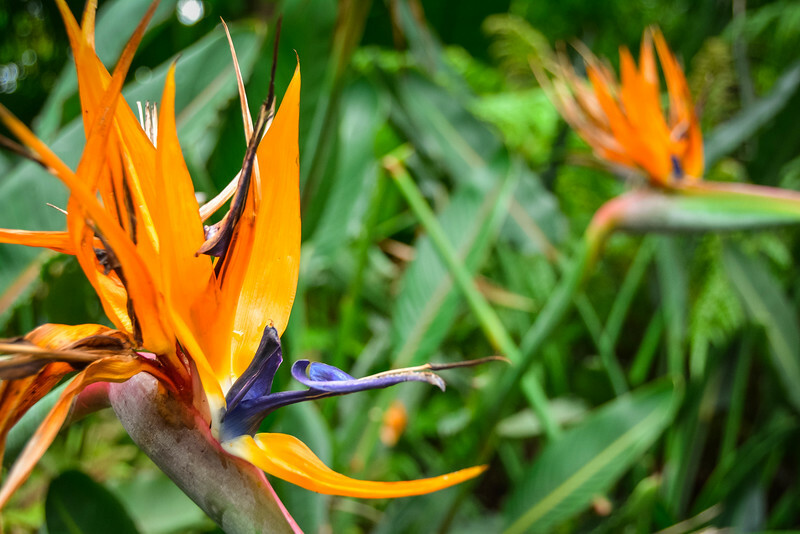 Our final stop was in the Tropical Gardens which was extremely colorful and vibrant as attempts are made to create “the luxuriant beauty, color, and fantasy of tropical gardens” around the world. Hamilton Gardens New Zealand is a really cool spectacle that is worth visiting if you are planning on spending time in Hamilton. 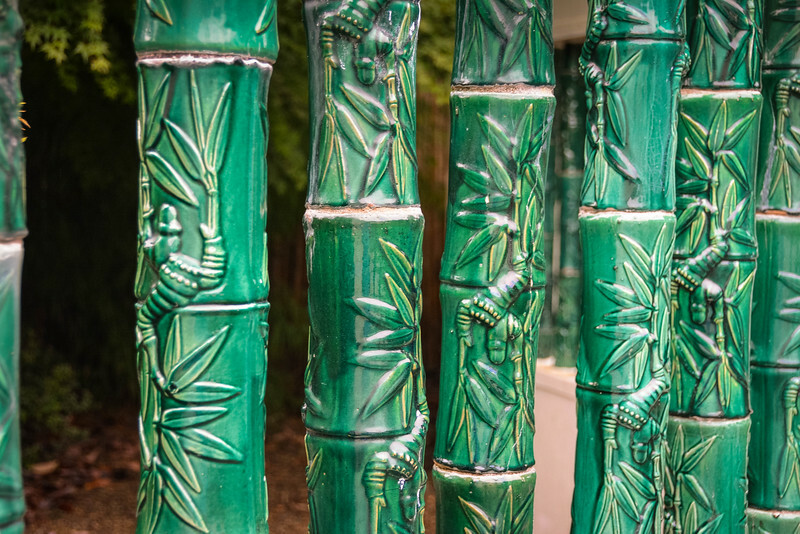 I love how the gardens are divided into themed areas and it’s very apparent that meticulous care has been taken to create environments representative of the nations they relate to. 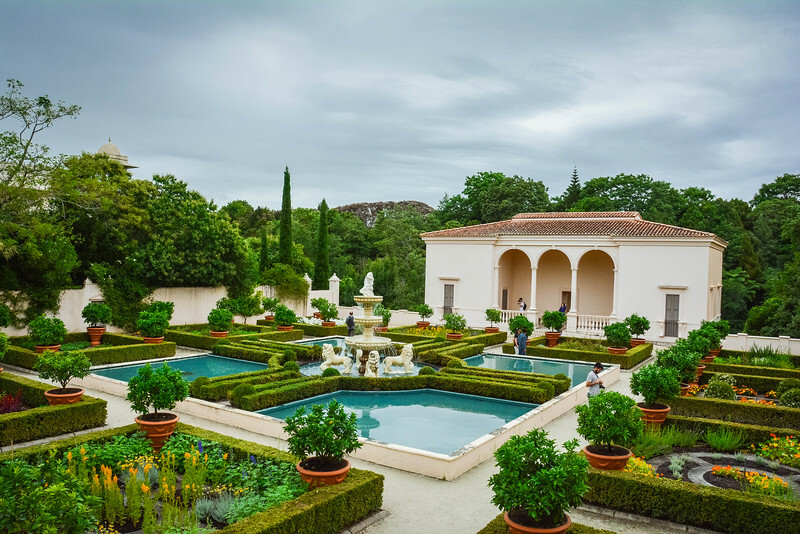 Our favorite spot was the Italian Renaissance Garden but that should take nothing away from the other areas which combine together to create an awesome experience. 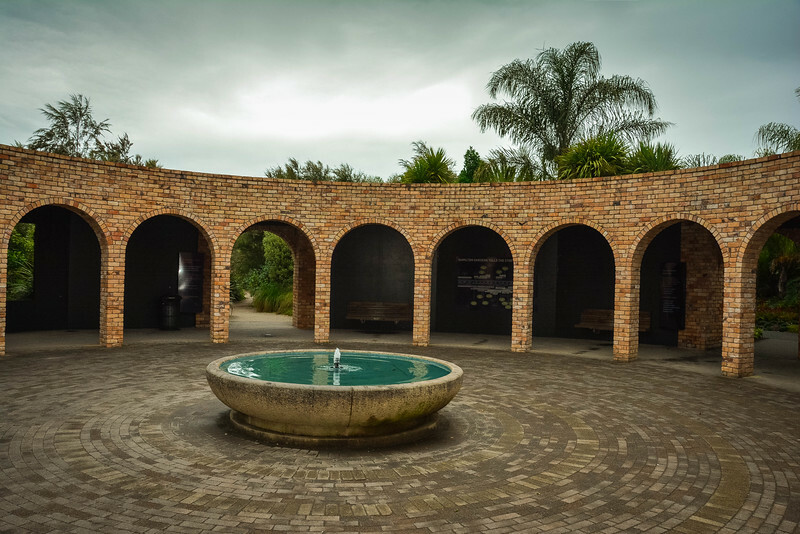 Hamilton Gardens is a great place for all the family to visit and it’s the perfect location for kids to learn a plethora of knowledge on botany, world geography, and local Maori culture. Previous articleWhy the Drive from Banff to Lake Louise Will Blow Your Mind? 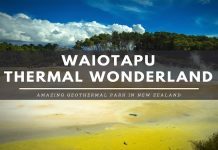 Next articleWhy Waiotapu Thermal Wonderland Is an Amazing Attraction? I live in Auckland and have never been to Hamilton. 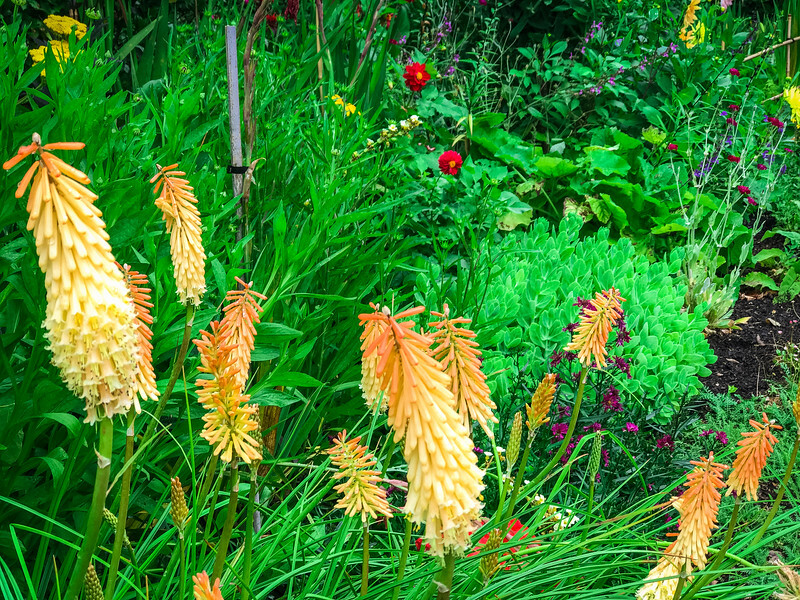 These gardens may just inspire me to make the trip. Thanks. I live in Hamilton and visit the gardens regularly. A few theme gardens still being finished (Surrelist, Katherine Mansfield etc) and notice you didn’t mention them all e.g Tudor. Then their is the rest of the gardens which are not themed. 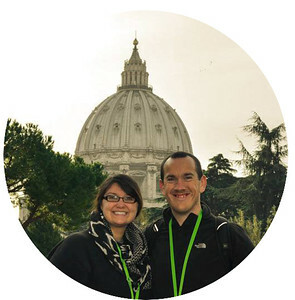 Glad that you enjoyed your visit. You are right need a full day at least to do it justice. Hamilton Garden is indeed a great place for family. We’ve been there and we are so contented on what we saw. Great structures and plant! The themed areas in Hamilton Garden are very unique and beautiful. We never regret that we visit these places.